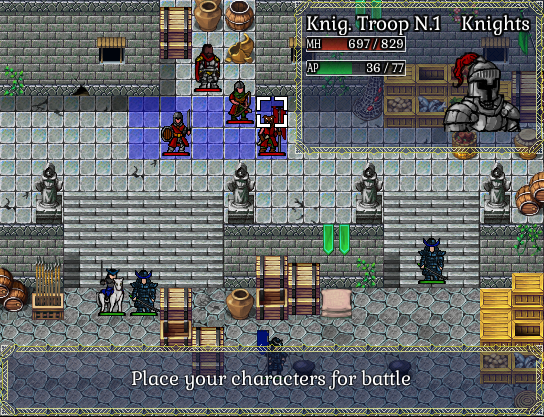 Bloody Repression is a strategic RPG with tactical turn-based battle sytem. In this game you will play as the oppressor. As Norbertus Elashem, ambitious young general rapid rise, you will have to crush the rebel elves without mercy. The enormous increasing of the taxes required by the new emperor cause riots and rebellions in all the empire, of which the most dangerous: the ones of the slaves. The nation is heavily upset because the foundation of the empire merely weighs on their workforce. The discontent grows and life conditions of the poors and the middleclass get worse day by day. In this situation, the elves, who reconstituted their militar power, profited to cause a violent revolution in the aim of obtain the Independence. in the fury of the fight, my right to sit on the throne of the Elves. and we were defeated and forced into submission. Now, we do not bow down more. The gods created the noble race of elves to rule the world. We not kneel more to an inferior race as you, humans! I will fight until I have strength, until the last elf, until the last drop of blood. The gods are with me and the fate of the elves is triumph! I swear as your future Queen! Your aim will be to capture Xin'haril Meiji, called the "warrior princess", elves leader, and bring her in chains in front of the emperor. It will not matter how you reach the result. Burning villages, exterminate the local population (guilty of having supported the rebels), razing cities ... all this will not matter. It's fault of the pointed ears, and nifians sustained by divine will of the Prophet and the Almighty, will punish them. 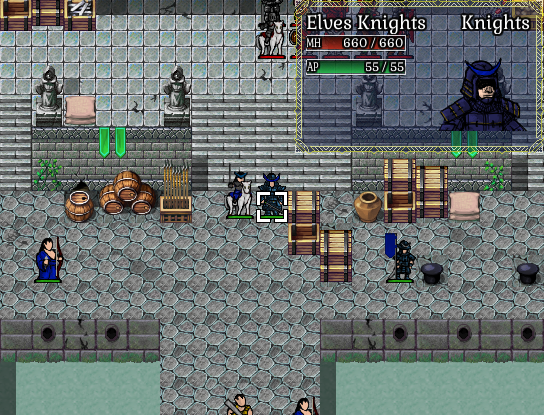 Bloody Repression is a strategic RPG with tactical turn-based battle sytem. 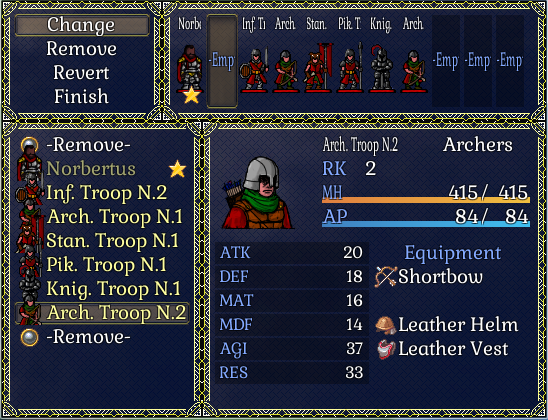 You can deploy up to 10 troops (not counting the general) and move them into battle against the enemy army. There are 14 different units, each with strengths and weaknesses, different characteristics, suitable for different situations. 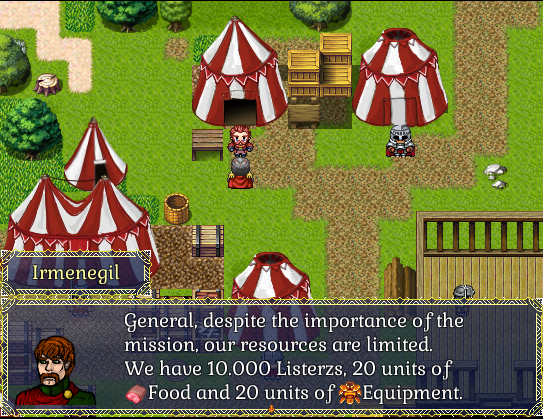 To recruit them have to spend money, food and equipment. Losing a troop in battle will mean losing it forever, and with it his equipment and the experience gained. It will not be a rare event. 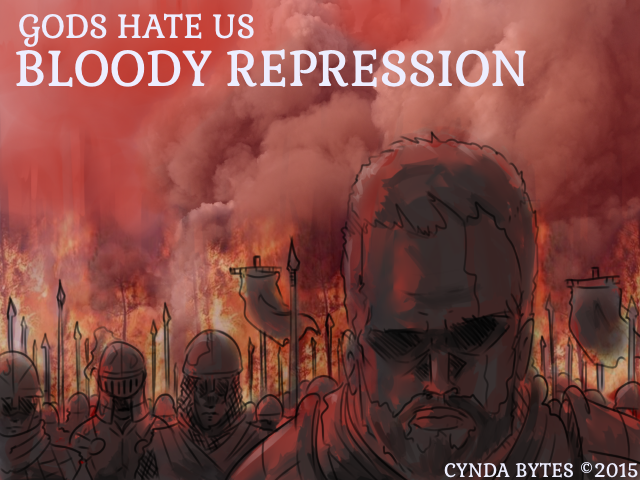 In fact, this is a bloody repression. Reconstitute decimated troops cost hard cash, you can get money killing the enemies. 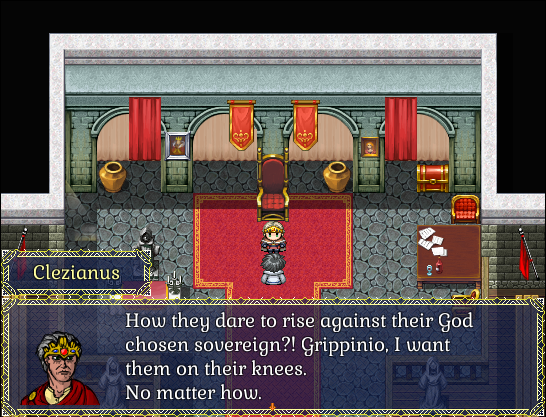 The gameplay is entirely based on the battle system. The battles can be very long ( the game is long 3/4 hours). I hope the story, dialogues and characters are to your liking. The game is not free of bugs, glitches and other amenities. I will release an advanced version in the future. This game is a spin off of my main project: God Hates Us. Stay tuned for more news. In the end, I'm sorry for my bad english.